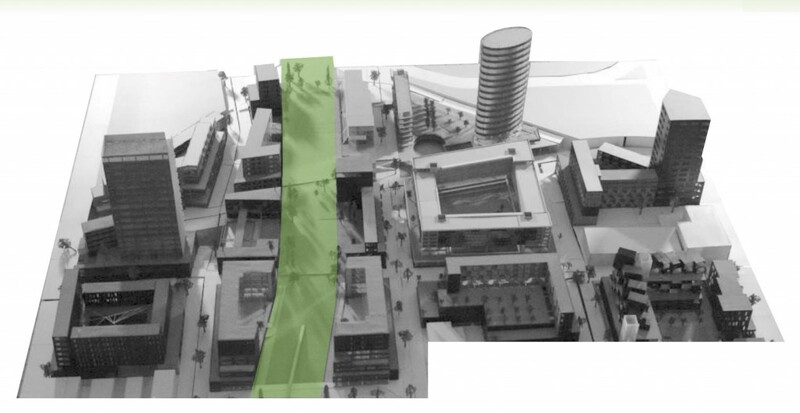 Mic Johnson led a University of Minnesota School of Architecture urban design studio that proposed lidding I-35W in Minneapolis’ Downtown East with a structure able to house 1,500 stalls of district parking, capped with a 17-acre green space. 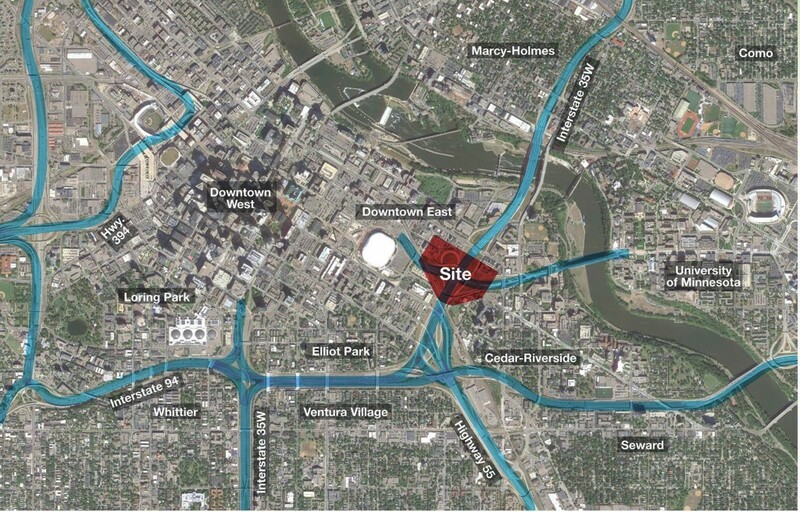 The concept also proposed developing 14 parcels of currently underutilized land adjacent to the lid, most of which is currently owned by MnDOT, with residential, commercial, educational, civic, and cultural uses. The result of this vision would bolster the city’s tax base, increase density with family-friendly amenities and services, and improve urban connections and livability. 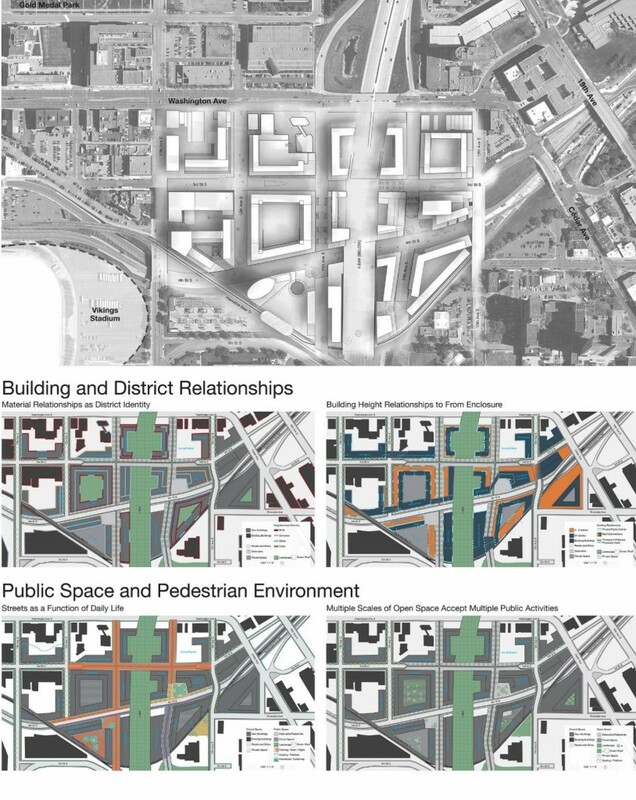 The Minneapolis Downtown Council endorsed this proposal as part of its 2025 Plan – to better connect the downtown community with the University of Minnesota – and promoted the idea with a week-long display of the project model and boards, as well as a presentation by civic and business leaders at the IDS Crystal Court. 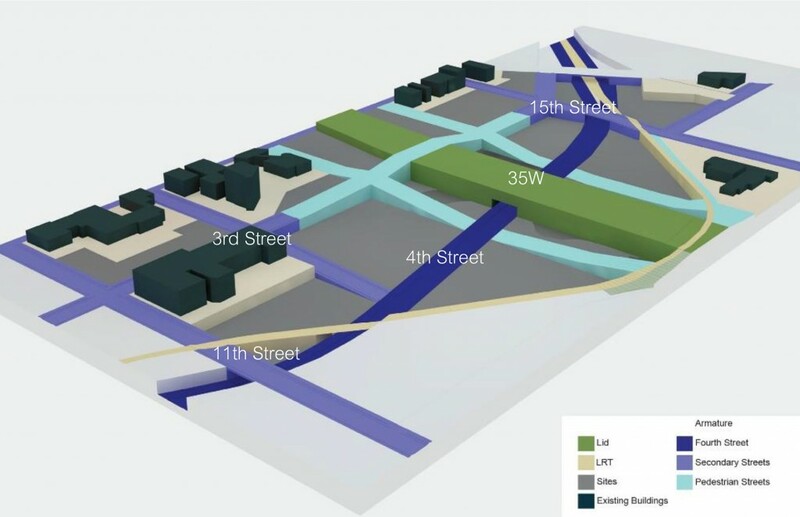 After assuming the role of interim director of the University’s Metropolitan Design Center (2014-2016), Mic remained involved in moving this proposal forward – working with both MnDOT and the downtown business community.